The journey was long and full of baby steps, but we’ve finally reached the destination: Google updated its terms of service on Friday to allow the company to slap your real name and face alongside ads, under an expansion of its “shared endorsements” program. Getting here took a while, and it took a slow expansion of the Google+ social service. First, Google+ users had to sign up for the service with their real names, rather than pseudonyms. Next, all new Google Accounts—even if you only wanted Gmail—required you to sign up for Google+. Then, back in May, Google began coaxing veteran YouTubers into adopting Google+ accounts, and a few weeks ago, the company announced that all YouTube comments will be powered exclusively by Google+. Google+ integration throughout Google’s services seemed pretty handy at first. When searching the Play Store, the power of “shared endorsements” showed you when your friends like a given app (not unlike what iOS and OS X users see when looking for game recommendations in Apple’s Game Center app). When searching the web, Google+ identified when your buddies +1’d a given site. 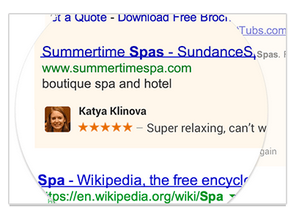 Now, Google’s bringing your real name, face, reviews, and comments to Search ads across the web. But while Facebook forces all users to participate in “sponsored stories,” Google gives you the opportunity to opt out of its ad program. Minors will be automatically excluded, but you’ll have to manually tell Google to leave your name out of its ads if you’re over 18. Fortunately, it’s easy to do so. To stop Google from using details from your Google+ profile in its advertising campaign, you’ll need to head to the Shared Endorsements page on Google+. The Shared Endorsements page spells out the details of the program. If you scroll down below all the words and pictures, you’ll see a single settings option on the page: “Based upon my activity, Google may show my name and profile photo in shared endorsements that appear in ads.” Simply uncheck the box and click Save and you won’t have to worry about your face and name appearing in Google’s ads. Opting out of the ad campaign doesn’t opt you out of all Shared Endorsements, however; your persona will still appear alongside websites you +1 and apps you like while your friends are scouring the web or Google Play. And while you’re busy tweaking settings anyway, consider tweaking your privacy settings on Facebook now that anyone can find you—because you never know when someone important is looking over your digital shoulder.